We haven’t seen new colorways of the Jordan Flight 45 High for a long time now, but this sneaker is making waves once again after being released in an intriguing edition. 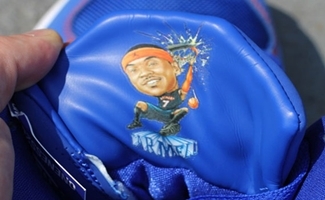 Dubbed as the Game Royal/White-Team Orange colorway of the shoe, this one might look like just an ordinary New York Knicks-themed kick, but not until you see what is behind the tongue of the kick – a caricature of the Knicks superstar Carmelo Anthony. 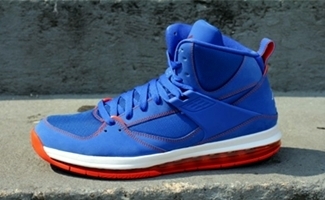 The Jordan Flight 45 High “Carmelo Anthony” edition is now available in the market so make sure to grab one now! Get one before it is too late!